Most people want to make better financial decisions. But many feel unsure about which steps to take and a bit overwhelmed with all the details. Financial planning doesn't have to be complicated. We make it simple by giving you a personalized, one-page plan with specific steps to put in place so you know exactly which direction you need to go. Clear, concise, and understandable. Then we get to work helping you put the appropriate strategies in place and following up on progress. 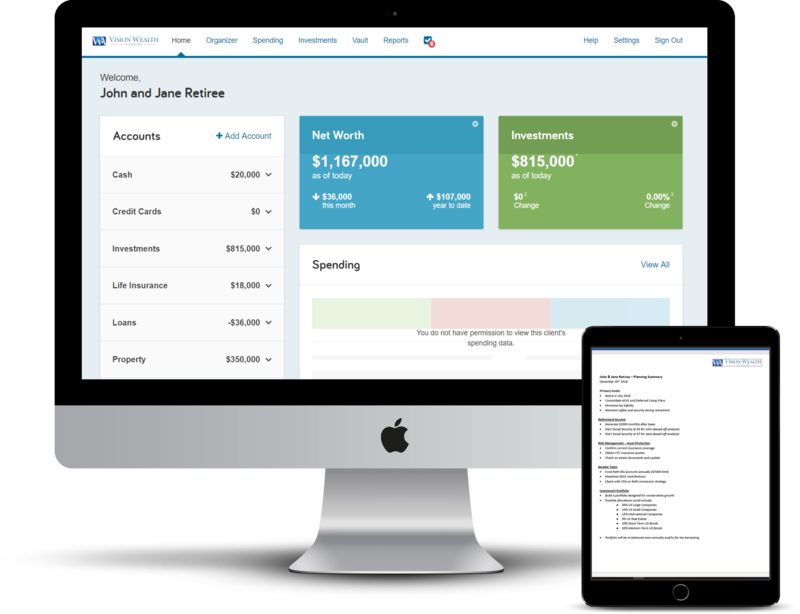 We also provide you with a personal financial planning website that allows you to track and manage your investments and spending, all in one convenient spot. Financial planning is more than just numbers; it's about outcomes. Have very little free time and just never get around to creating a budget or strategy? Feel like you are taking some steps in the right direction but could do a lot better? Worry that you might not be saving enough for retirement? Think that you could be making better investment choices? Want to make the most of your work benefit plans (401K, Deferred Comp, etc.)? Want to feel like you are leading your family in the right direction financially? Wish you understood more about investing and how it all works? Come see how we can help you get on track.